21Prive Casino was launched in 2014 and has since then serviced the online casino community with an outstanding online casino. The core of this casino is built around a fantastic product with a few very important key stones like the games selection which include more than 500 top-of-the-notch online casino games, a hard focus on the player’s safety in terms of handling payments and transactions and also a very professional player support team that are willing to assist any queries that you might have. First off, the casino games are provided by several of the most successful games providers including Ezugi, NetEnt Live Casino, Leander Games, NetEnt, NYX and Betsoft. These games providers are brought through the great casino platform called White Hat Gaming. Secondly, all transactions are processed secured by RapidSSL which is the strongest SSL encryption system available on the electronic payment processing market today. And thirdly, the service team that are available at 21Prive Casino is a team known for their great knowledge of online gambling. The support team is available 24 hours, 7 days a week and you may reach them by e-mail or live chat. They offer support in several languages including English, German, Finnish, Norwegian and Swedish. 21Prive Casino is owned and operated by White Hat Gaming Limited. They are licensed by Curaçao eGaming and the UK Gambling Commission. The wagering requirements of the bonus is set to x35 times. 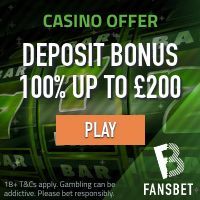 Please note that certain types of casino games contribute differently towards your bonus wager so make sure to check the bonus wager percentage before you start wager your bonus. As mentioned above, 21Prive Casino emphasizes safety and security when processing all payments and transactions. The encryption technology used is of the highest standard provided by RapidSSL. 21prive Casino accepts all major payment methods including debit/credit cards, e-wallets like Neteller or Moneybookers Skrill and several regional direct bank transfer solutions. The White Hat Gaming platform holds an impressive number of online casino games. It includes casino producers such as NetEnt, NetEnt Live Casino, BetSoft, Nyx, Ezugi and Leander Games. Some of the most popular online slot machines are Staruburst, Guns n Roses, Gonzo Quest, Spinata Grande, Football Champions Cup, King Kong, A Dragon Story just to name a few.